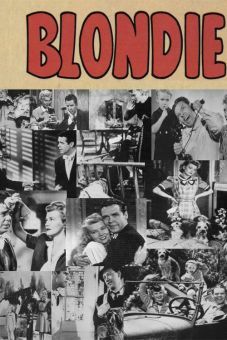 Columbia's new "Blondie" series continued its winning streak with its fourth entry, Blondie Brings Up Baby. 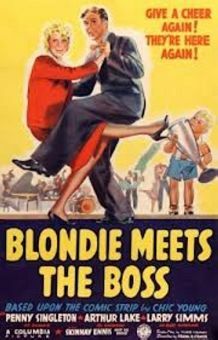 So much happens within the film's 67 minutes that it's best to boil things down to the central storyline. 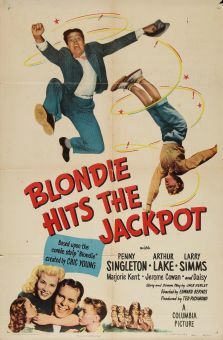 Baby Dumpling (Larry Simms), the six-year-old son of Blondie and Dagwood Bumstead (Penny Singleton and Arthur Lake) disappears from sight during his first day at school. 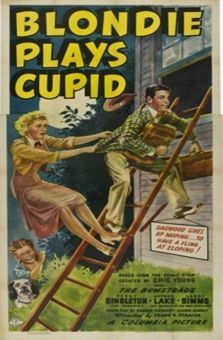 While Dagwood frantically combs the city in search of the boy, Baby Dumpling spents a nice, safe afternoon with poor little rich girl Melinda Mason (Peggy Ann Garner), who with her new playmate's help arises from her sickbed to walk across the room for the first time in months. 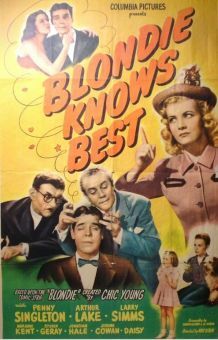 Other plot threads include Dagwood's disastrous confrontation with an important business client (Robert Middlemass), and Daisy the Dog's ongoing battle of wits with the local dog-catcher. 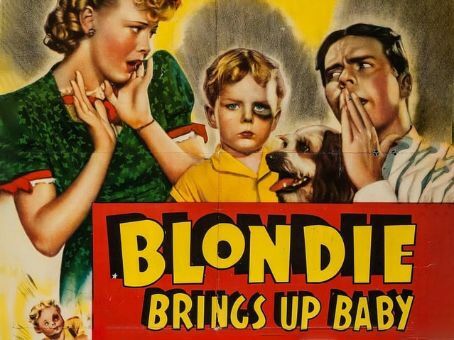 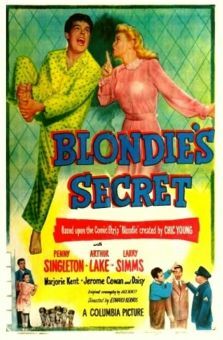 Like many of the "Blondie" films, Blondie Brings Up Baby serves as a showcase for young talent on the way up: Robert Sterling is seen as one of Dagwood's office buddies, while Bruce Bennett plays a uniformed chauffeur.